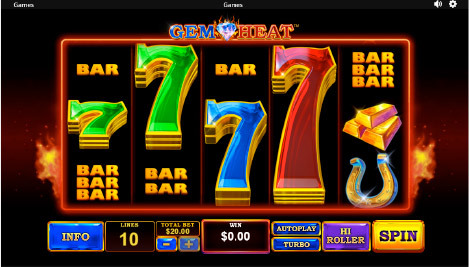 Gem Heat slot game is now playing at Fly Casino online. A graphically stunning new 5-reel, 10-line game with the retro feel of classic Vegas with today’s explosive new game technology and bonus features. One of the best new games we have seen this year! Seven free games are triggered by landing the scatter symbol on reels 1, 3 and 5. 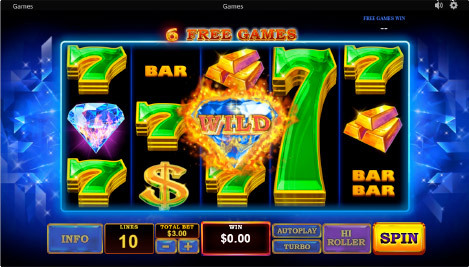 During the Free Games feature the reels are spun automatically with a locked Gem in the center of reel three that will enhance 7’s symbol payouts. In short, you are more likely to get a ton of five-of-a-kind wins in this mode which can result in huge bonus wins. $50 Bonuses X 2. On Sunday from 00:00GMT until 23:59 GMT, all members will receive a $/£/€50 bonus on your deposits of $/£/€50 or more. Claim it 2X! $40 gets $60 X 3. From 00:00GMT until 23:59 GMT, all members on their deposit of just $/£/€40 or more will receive a $/£/€60.00 bonus. Claim 3X.